Coconut, Palm Fruit and Palm Kernel oils are known as the “tropical” oils because of their roots in the climates of paradise. The name suits them—they are potent fruits with multiple uses, exactly the kind of efficient, compact resource one would need when stranded on an island! Coconut oil is perhaps better known worldwide than palm, though palm oil in some form or other is likely more widely consumed. Both fruits produce oils that are high in saturated fat and therefore are nutritionally dense. They are solid at room temperature and are popular as cooking oils due to their resistance to high heat. Both grow on species of palm trees, though the coconut is the seed of the coconut palm and palm oil comes from the fruit of the oil palm. However, there are as many differences as similarities between the two oils. Civilizations as old as the Ancient Egyptians have benefited from the dense nutrition of virgin palm fruit oil. Unlike its refined version, virgin palm is a spectacular orangey-red, a characteristic color it gets from the presence of carotenes. Carotenes are considered nutrients and antioxidants and can be converted into Vitamin A during digestion, which is typically only possible with animal products, as they need fat in order to convert to Vitamin A.
Palm fruit oil primarily consists of palmitic and oleic acids, and is 50% saturated (palm kernel and coconut oils are closer to 90% saturated). It is a source of many nutrients, including over 20 carotenes in addition to alpha and beta-carotene, flavonoids and vitamin K. Its most remarkable density of nutrients, however, comes from Vitamin E. Palm Fruit oil is one of the richest natural sources of the vitamin, and it contains all 4 tocotrienols, a potent form of Vitamin E. So while coconut oil has higher levels of the much sought-after MCTs, palm fruit oil is an unparalleled source for vitamin E in the vegetable oil world. Jedwards sells a wide range of coconut oils wholesale, including bulk Virgin Organic Coconut Oil, RBD Organic and RBD Conventional Coconut Oil, and MCT Oil, which can be derived from both coconut and palm fruits. Like coconut oil, palm fruit oil is excellent for cooking and baking, as its high fatty acid content makes it fairly heat resistant—its smoke point is over 430°F. 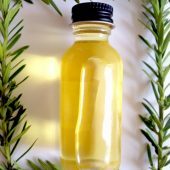 While both coconut and palm oils are semi-solid at room temperature, palm oil does not have a sharp melting point like coconut oil does, and is difficult to maintain in a liquid state. Coconut oil’s melting point is a result of its significant concentration of MCTs (more than 60% of its fat content versus less than 1% in palm fruit oil). Palm kernel oil on the other hand, which is also carried in bulk wholesale by Jedwards, is derived from the seed of the palm fruit, and is a more similar product to coconut oil. It has similar nutritional qualities, is white when solid and clear when liquid, and it melts at 76°F. Because the semi-solid state of palm fruit oil is less straightforward to work with than that of the palm kernel oil or coconut oil, but contains a compelling cocktail of nutrients, it is often fractionated to render Palm Olein and Super Palm Olein, two products that Jedwards currently offers wholesale. Palm Olein is the liquid portion of what is left after fractionation (the solid remainder, Palm Stearin, is typically used in the production of trans-free fats such as shortening and margarine). It then becomes more user-friendly as a cooking oil, as it is more likely to remain in liquid form. When it is further fractionated to create Super Palm Olein, the oil becomes even more resistant to solidification and clouding, effectively “winterizing” it. Jedwards carries among its bulk wholesale products the Organic Palm Oleinand conventional Virgin Red Palm Olein and Virgin Red Super Palm Olein. We are adding the bulk wholesale organic virgin products this spring. 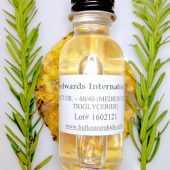 The tropical oils are powerful assets in the food and cosmetic industries. They are popular for soap making, moisturizer formulation, and, of course, baking, among other uses. Jedwards carries the full range of their potential so that a variety of consumers can benefit from their formidable ingredients.